KARACHI: Australia has finally allowed import of mangoes from Pakistan after ensuing that the fruit will meet all quality standards set by its quarantine and agriculture department, an exporter said on Thursday. �Australia has approved importing mangoes from Pakistan during Eid holidays (August 8-10),� Abdul Qadeer Durrani, chief executive officer of Durrani Associates, said. The audit team of the Department of Agriculture, Fisheries and Forestry (DAFF) Australia was visiting Pakistan for the last two-three years to examine the quality standard of mangoes for imports. The team last visited Pakistan during the first week of July. 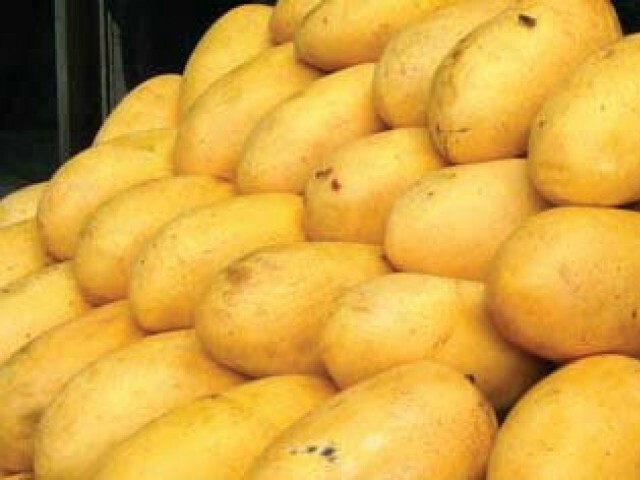 Durrani said that Australia has a market of 5,000 tons of Pakistani mangoes each year. Pakistan; however, could not export significant volume of mangoes to Australia this year, as the country gave its approval for imports at a time when the mango season is heading towards its end in Pakistan. �The mango crop of Sindh is almost over, while Punjab experiences heavy rainfall. The situation will not allow Pakistan to export bulk quantity of mangoes to Austria this year,� he said. It is hot water treatment technology with Pakistan that convinced Australia to approve importing mangoes from here, he said. �The technology that is fortunately owned by Durrani Associates itself is the best one across the world,� he said, adding that the technology helped keep mangoes fresh for up to 42 days as compared to seven days across the world. �Australian team, the one that visited Pakistan in July, said that Pakistan is 20 years ahead of the world in hot water treatment technology,� he said. This is a technology that makes pulp of mangoes free from nine bacteria elements through temperature at 47 Celsius, he said. Currently, there are two plants of Durrani Associates, which are biggest in the world as far as hot water technology is concerned. One plant processes 15 tons of mangoes per hour and second is 10 tons per hour. The third biggest plant is in Mexico processes 4.5 tons of fruit per hour, he said. The first plant of the technology was installed in Pakistan in 2008, while the second plant was installed in 2012, he said. The technology can help Pakistan increase its mango exports threefold in the next two to three years. The country has set an export target of 175,000 tons for the ongoing calendar year. Moreover, Pakistan has been estimated to produce 1.8 million tons mangoes this year. �Pakistan is the country in which 40 percent quantity of mangoes gets rotten due to unavailability of proper storage but it could utilise its mangoes for exports purposes through using processing technology for preserving mangoes,� he said.